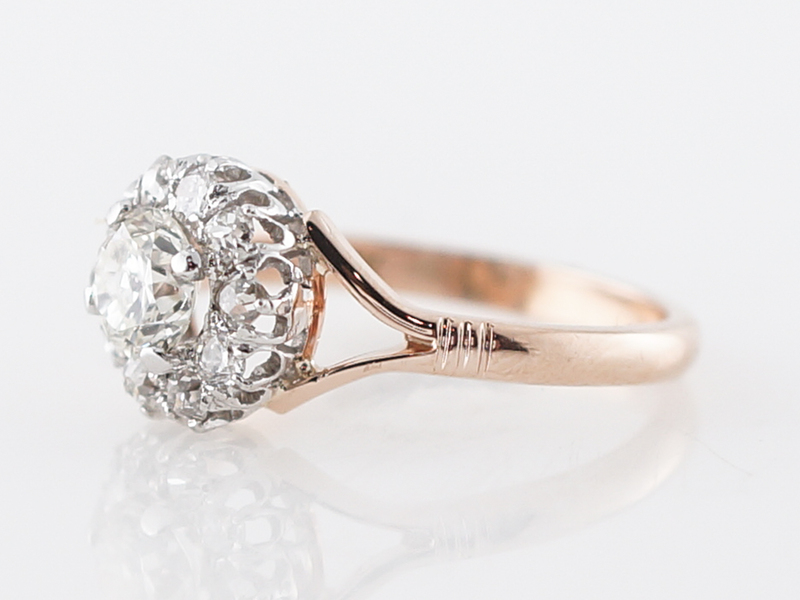 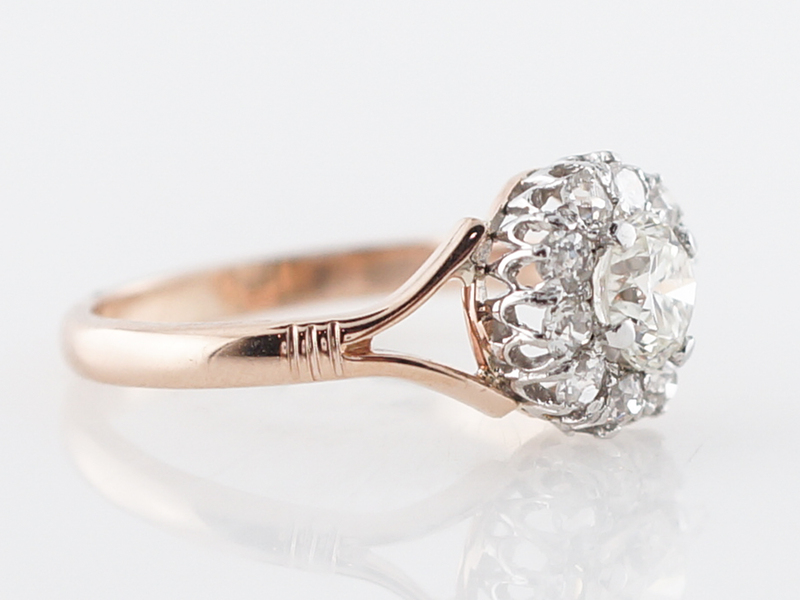 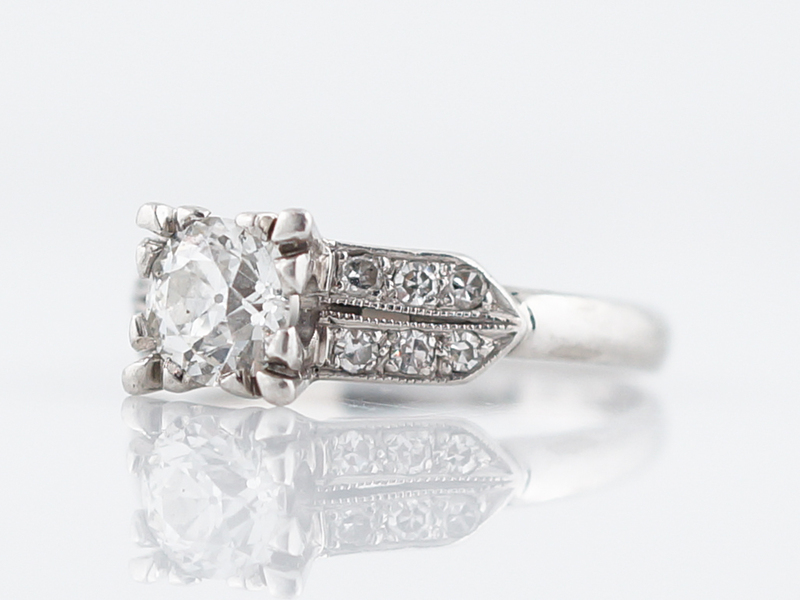 This original vintage engagement ring is a wonderful example of a Victorian era diamond cluster ring. 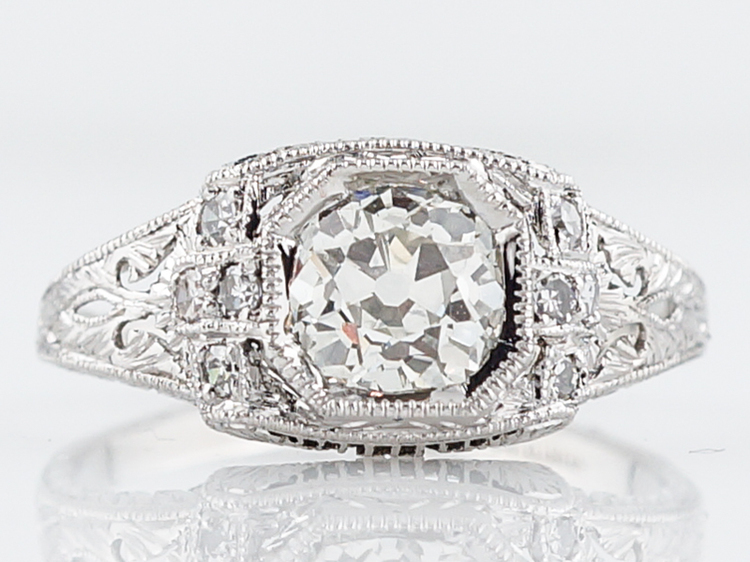 The center diamond is a .57 old European cut diamond and is set in 14k white gold. 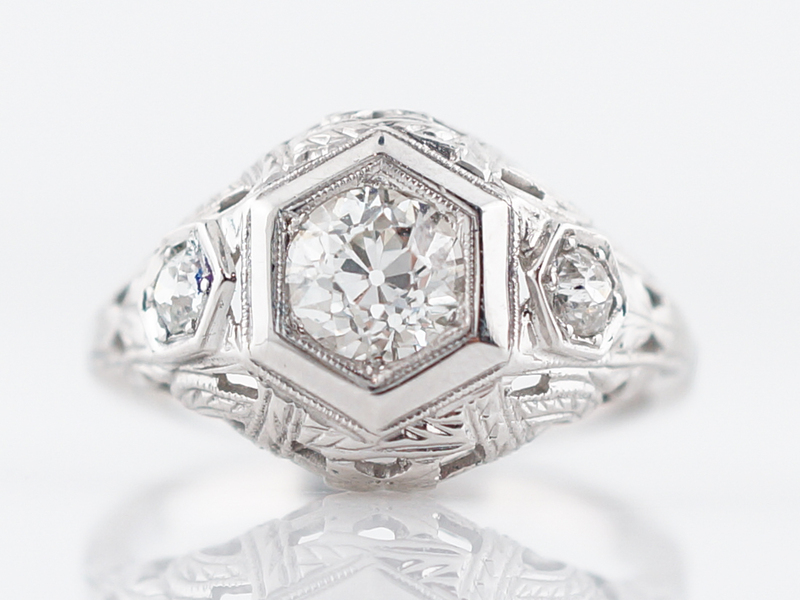 The diamond is accented by a halo of ten old mine cut diamonds that form the cluster. 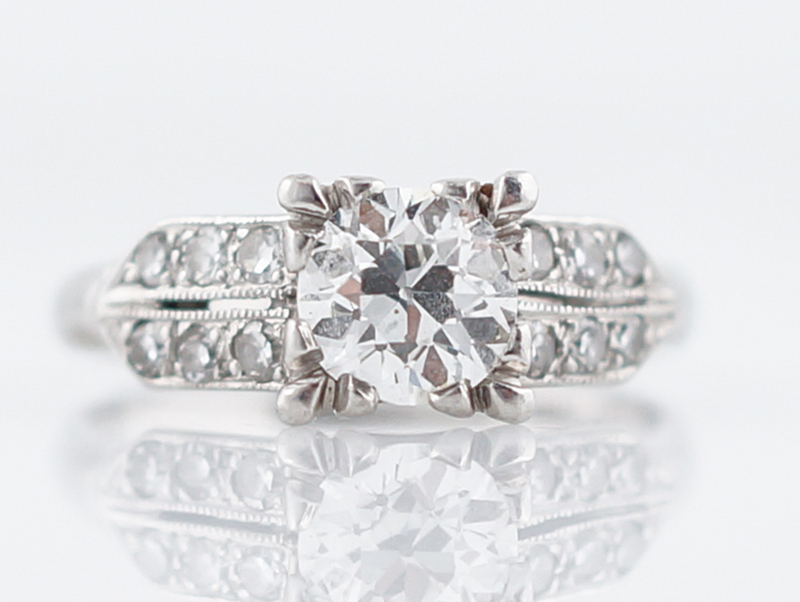 The top half of the ring is finished in white gold, while the bottom half is done in yellow gold, providing the ring with a gorgeous two tone appearance. 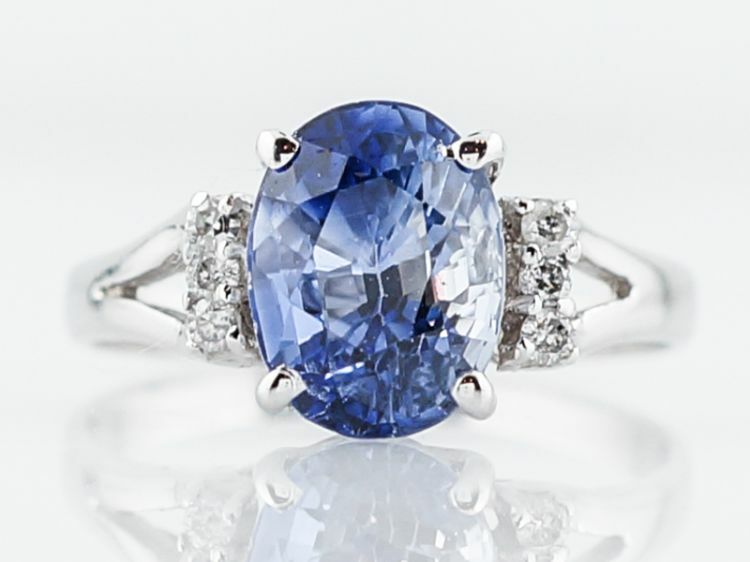 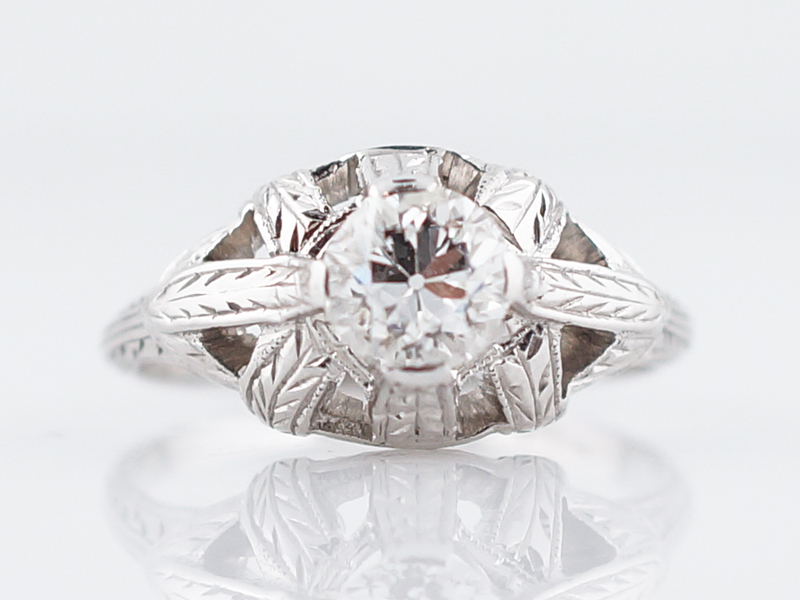 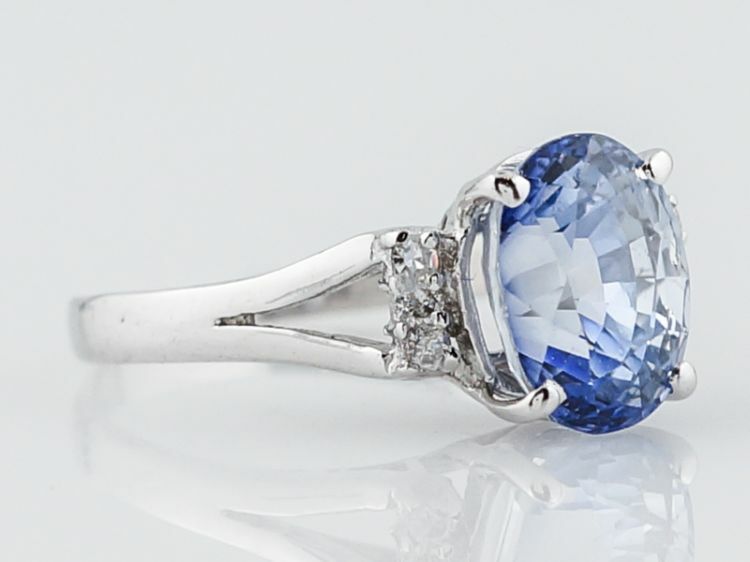 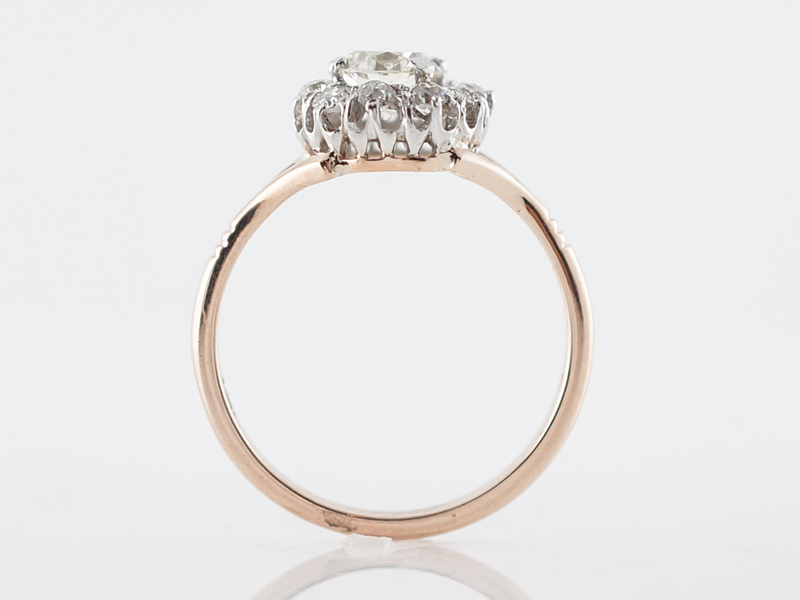 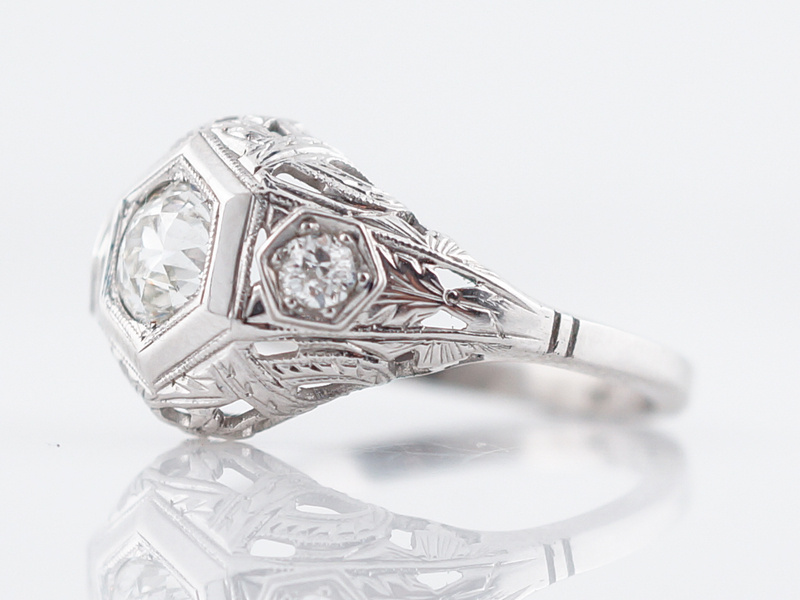 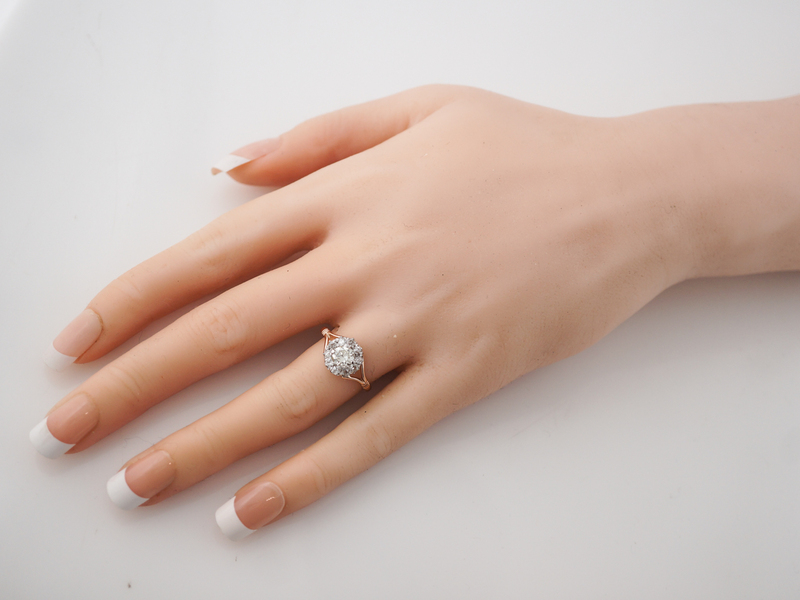 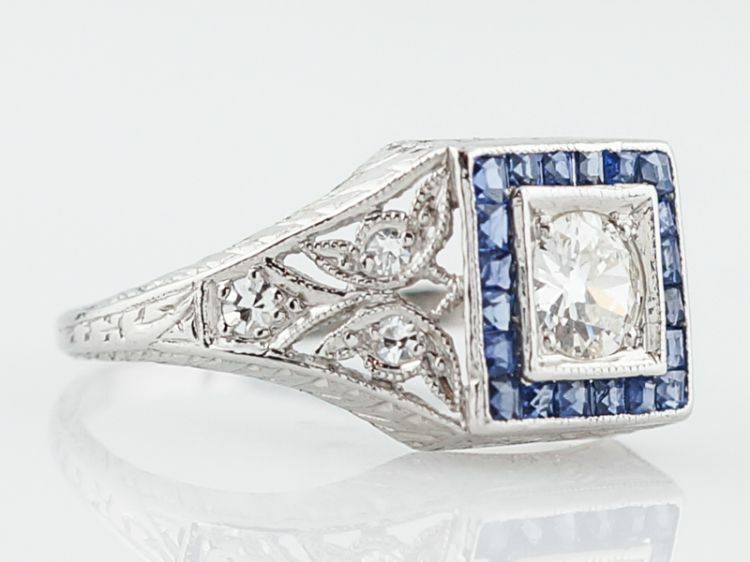 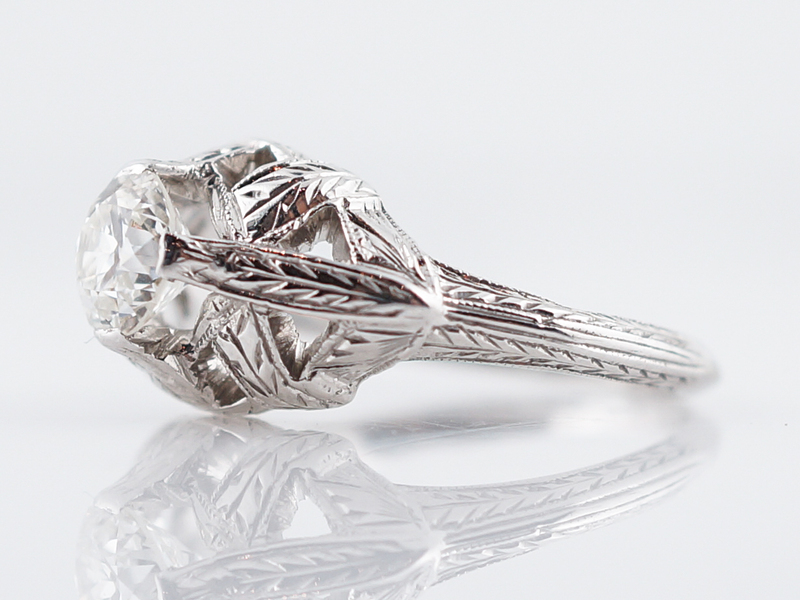 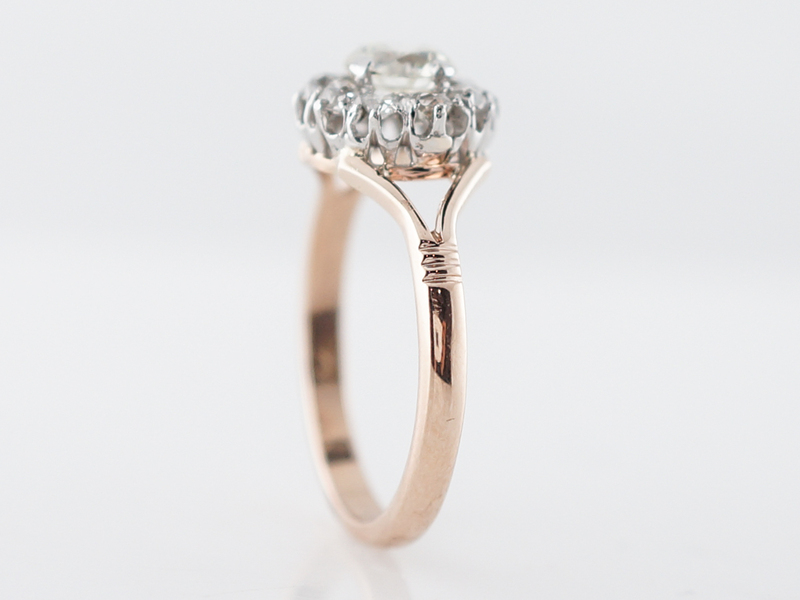 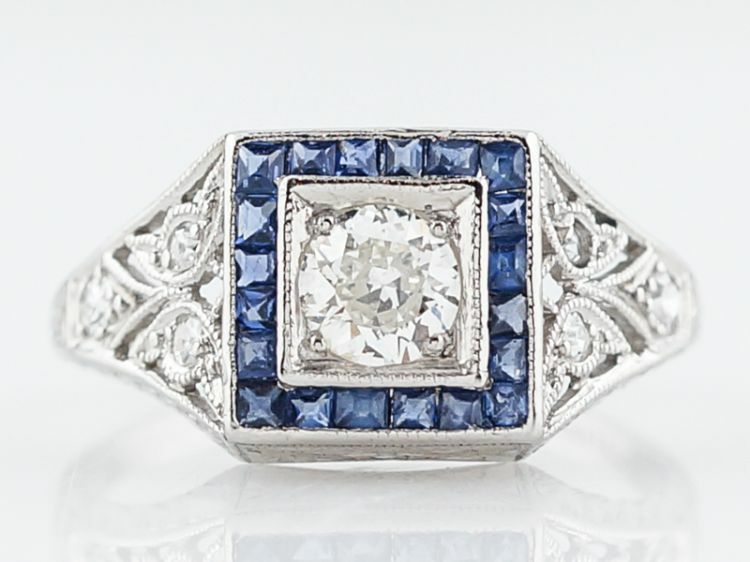 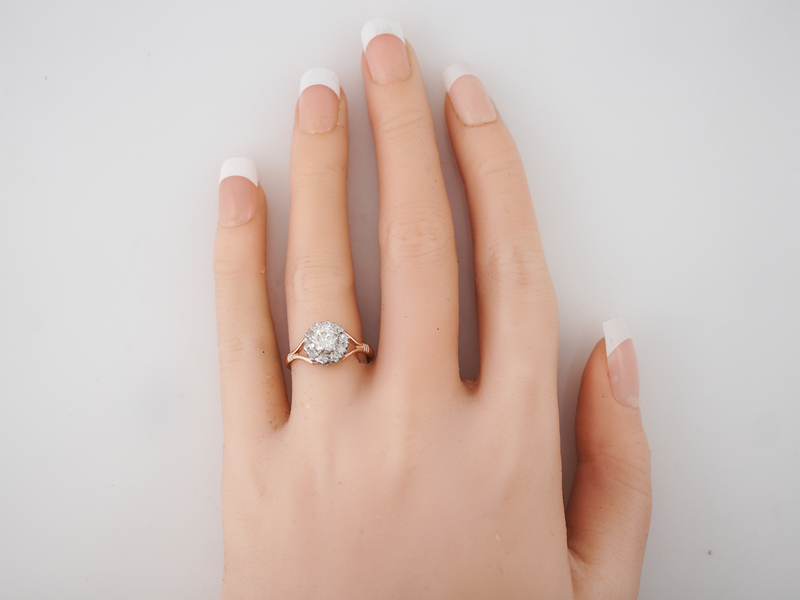 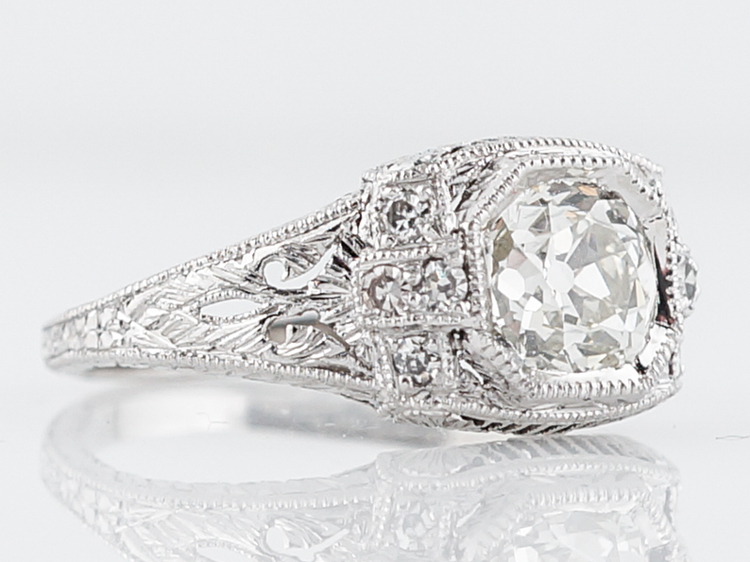 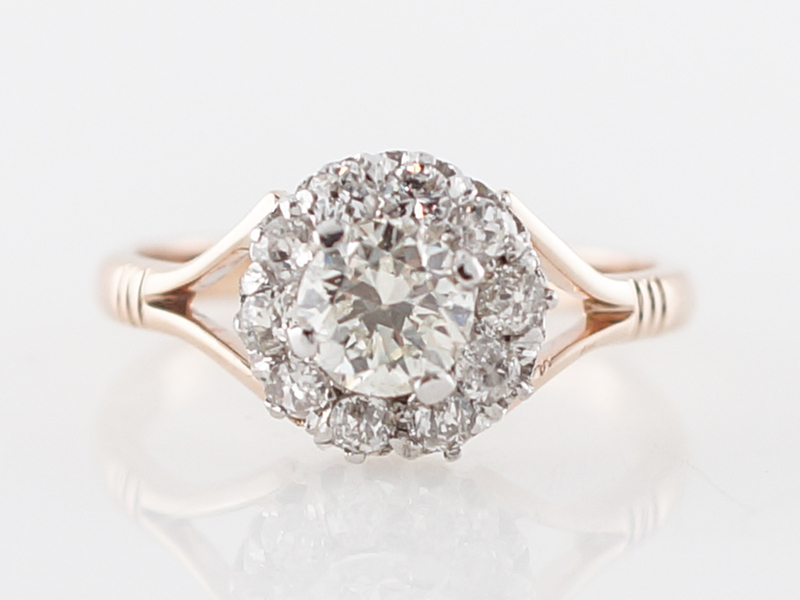 The split shank adds an airy lightness to this timeless ring from the late 1800’s.